His song Mining For Gold was featured in the John Sayles film Silver City, and was included on the classic Cowboy Junkies album The Trinity Sessions. Gordon’s classic Frobisher Bay has been recorded by more than 100 different acts world-wide, has become a standard in choirs everywhere, and is in Rise Again, the sequel to the legendary Rise Up Singing songbook. Well known for his songs about social justice, heritage and environmental issues, he toured for two years with his hugely successful political theatre piece Stephen Harper: The Musical. (It worked. You’re welcome.) The full-length folk opera Hardscrabble Road debuted live in the fall of 2003 and proved to be one of his most ambitious works. Gordon has produced CDs for many Canadian folk artists, and his popular ”Rhyme Capsules” songwriting-in-the-schools project has resulted in over two dozen CDs of songs by young composers. In the last three years he’s toured in Great Britain, Cambodia, Vietnam, Japan, and all across North America. He’s often touring as “James Gordon & Sons” with his musician sons Evan and Geordie. 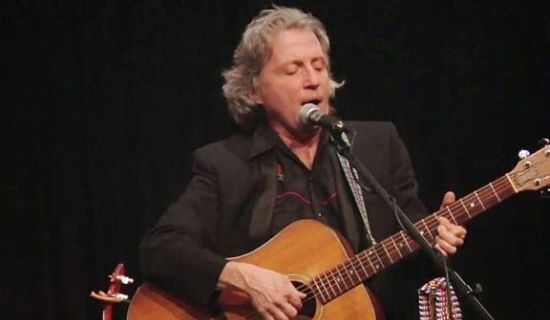 His new album Sunny Jim (released on Borealis Records) has been his best received to date, reaching #2 in Canada and #24 in North America on folk & singer-songwriter charts. He tours as a solo performer and with his sons. In 2009 BerLen Music published The Pipe Street Songbook, an anthology of his 50 most loved songs. Between tours, James is a record producer, playwright, community activist, Guelph City Councillor and theatre director.